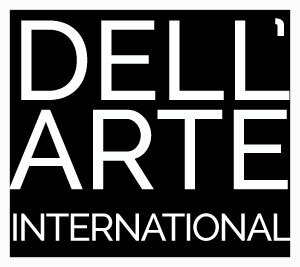 The Dell’Arte Company and the Dell’Arte International School of Physical Theatre welcomes U.S. military personnel, spouses, and children as well as U.S. veterans. Dell’Arte has a long-standing commitment to our community and we welcome you to our theatre. Blue Star Theatres is a collaboration between Theatre Communications Group and Blue Star Families. The initiative is intended to recognize the contributions of service families, to build stronger connections between the theatre community and military families in communities all across the country and to help aid service people and their families as they seek to be integrated into the lives of their communities. Dell’Arte offers 50% off ticket orders to military personnel, veterans, and their immediate families. Please visit our season to find out what’s playing and give our box office a call at 707-668-5663 and mention the code BLUE STAR to identify as a military personnel. In addition to our fun-filled season, Dell’Arte’s accredited graduate school offers various training programs in Ensemble-Based physical theatre including a one-year Professional Training Program, a Master of Fine Arts, a Summer Intensive, and a Study Abroad in Bali. We have welcomed many military personnel and veterans into our programs in the past and look forward to meeting you too!